P.S: Plus, more ballet awesomeness, including ballerina's legs and this little short. P.P.S: Have you seen this documentary already? Grace, I am way too talk too. gorgeous...I wanted to be a ballerina but I was fat...I went to ballet class and dreamed of pink satin point shoes but by about 8 my dancing 'career' was over and it was horses horses horses....then came music and boys and it was all over.... did do some classes before I got into yoga and occasionally I stand in at the buss stop doing turned out ballet dancer's feet...pretending! Beautiful Nope never took dance classes but i am obsessed with the new bunheads show. :). I think they make something so hard look so easy and amazing. Tell us more about your adult ballet class experience! Maybe I'll have you talk about it on the blog! 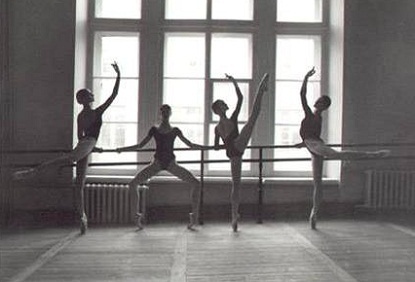 I never did ballet, but it's a beautiful art form! I love the pictures. Fashion Meets Food, thanks for the reminder. I so need to check out that show. 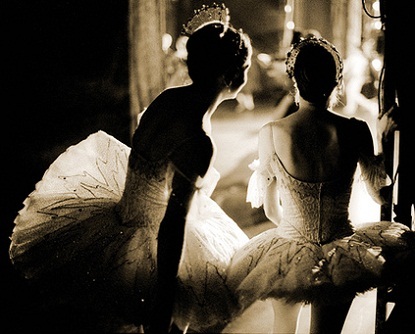 I think I will always remember that post with ballerinas dancing in those beautiful dresses. 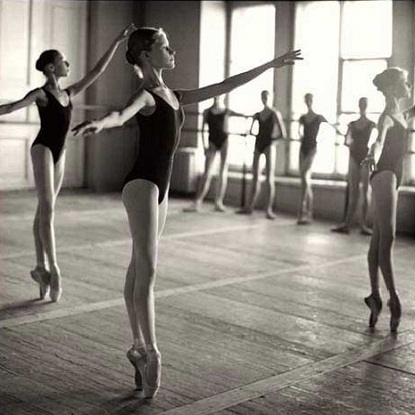 Now I feel like watching ballet..<3 how did you like Black Swan? J, I watched it twice. It was amazing, heartbreaking and it gave an incredible inside to the world of ballet. What did you think?